For years, entrepreneur and business journalist Sarah Lacy said people throughout Silicon Valley encouraged her to start her own business. But it wasn't until she had a child that she decided to do it. "I raised money for my first company with my newborn baby in the room with me. I felt like I never had confidence to take that step before," said Lacy, who founded Pando, an investigative journalism site covering the tech industry, six years ago. Last year, she started another company, Chairman Mom, which seeks to provide a judgment-free social platform for working mothers. Motherhood "made me way more ambitious," said Lacy, who writes about her experiences in her book "A Uterus is a Feature, Not a Bug: The Working Woman's Guide to Overthrowing the Patriarchy." "When you are raising kids, you have got to get into their head and understand why they are acting the way they are because they're not acting rationally," said Lacy, whose kids are 5 and 6. "You can't tell them you'll just fire them if they don't shape up ... and that level of empathy you have to have to be a good parent is just so powerful in the workplace." Related: Equality at work sounds great but how do we get there? Jennifer Hyman, co-founder and chief executive officer of Rent the Runway, said becoming a mother last year made her more efficient. "I think that I'm cognizant not only for my own time but of everyone's time of 'how can I make this point in a more succinct manner?' " said Hyman, who has a 14-month-old daughter. " 'Maybe this meeting doesn't have to be an hour. Maybe it could be a half hour and we could accomplish everything that we need to accomplish' because I know that spending time at home is extremely important." 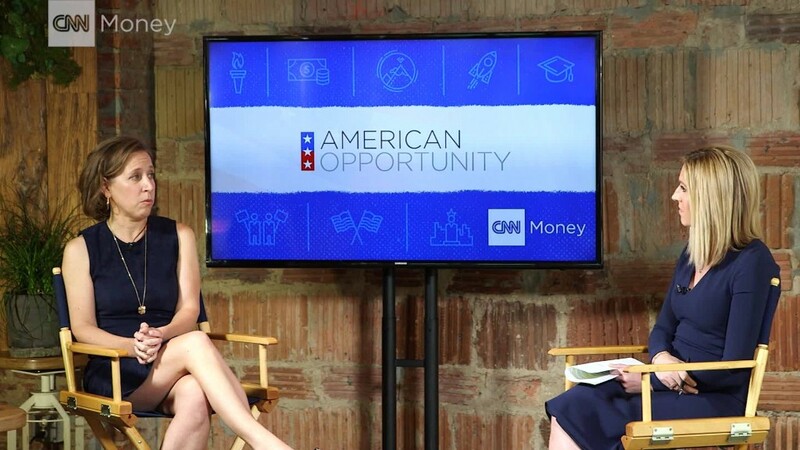 Jennifer Hyman, co-founder and chief executive officer of Rent the Runway, says becoming a mother has made her a more effiicient executive and a proponent of equalizing benefits, such as paid leave, for female and male employees. Nancy Green, president and chief executive officer of Athleta, said she too became "uber-focused" on being able to get everything done while also making it home for dinner with her four kids, who are now grown. She also said the nurturing that's really important as a mother taught her about managing people. 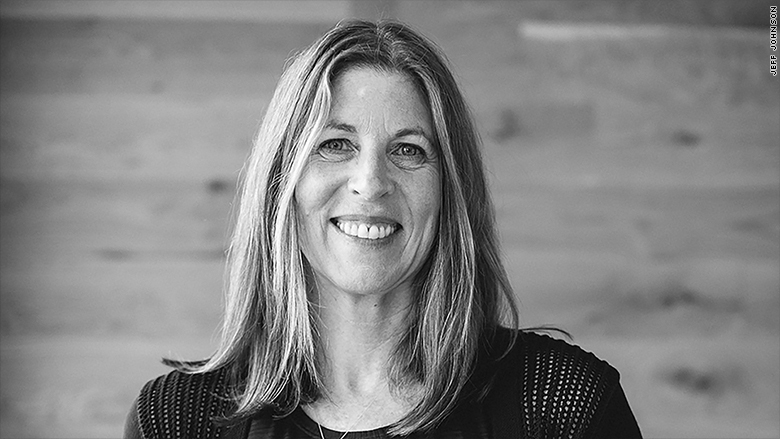 Nancy Green, president and chief executive officer of Athleta, says being a mother made her "uber-focused" as an executive and also helped her figure out how to nurture and develop a person's potential. "I saw this really very clearly with four children, that not everything works the same way with each child, and acknowledging that every person, whether it's your child or people that you work with, everybody's very different and they respond to development differently," said Green. "I think you learn ... how to give feedback and motivate and how to nurture and develop a person's potential." Sonia Syngal, president and chief executive officer of Old Navy, said one lesson she's tried to instill in her kids is the importance of surrounding yourself with people who support you. "Taking this advice to heart, I've surrounded myself with a team that cares," said Syngal, whose kids are 16 and 19. 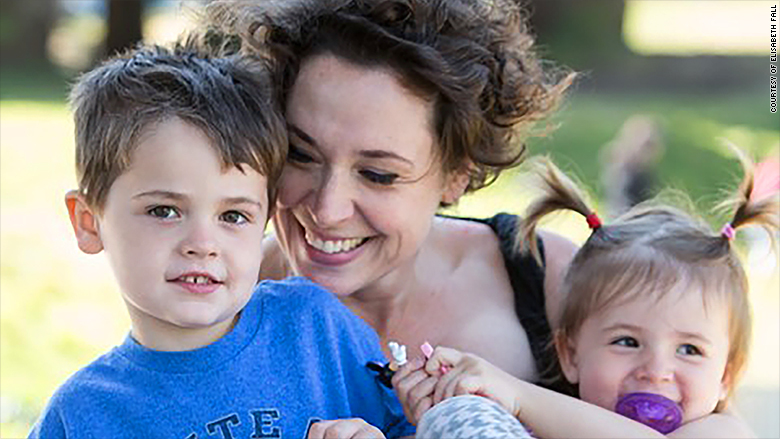 "I like to think that how I've learned to care as a mom has helped me approach my work with the same heart." 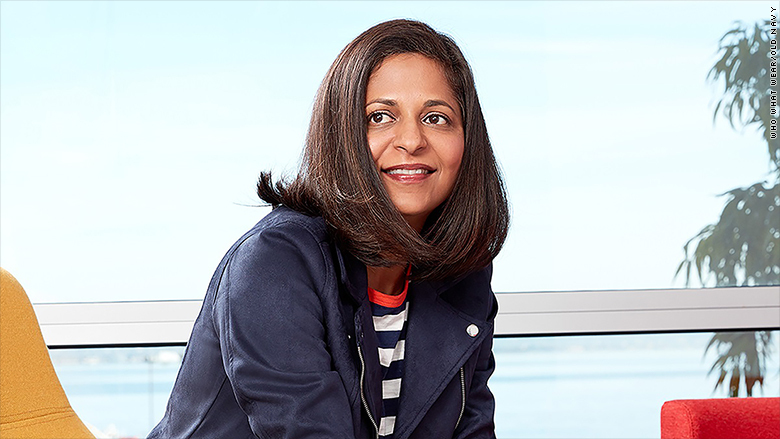 Sonia Syngal, president and chief executive officer of Old Navy, says becoming a mother helped her see the importance of surrounding herself with people who care. In Hyman's case, becoming a mother also helped her understand why certain policies worked and what new ones were needed. In its 9-year history, Rent the Runway has had a 100% retention rate of mothers post having children, said Hyman. 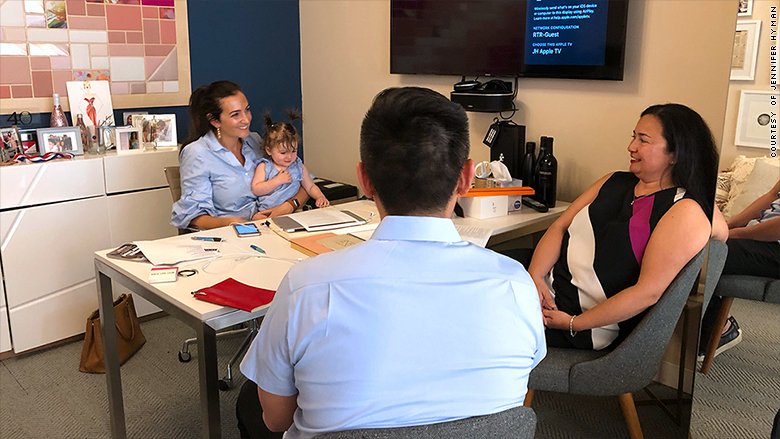 "Becoming a mother myself has made me realize why and that is because we enable parents after they have children to come back to work in a flexible way, meaning that we don't put requirements around them to know what their exact schedule is going to be when they come back to work." Becoming a mother also made her appreciate the importance of fatherhood and making sure men play equal roles at home, which was one of the incentives behind the company equalizing benefits last month for all female and male salaried and hourly workers, a plan Hyman outlined in a recent New York Times op-ed. "I fundamentally wouldn't be able to do as well or focus as much as I do on my own career if I didn't have a partner who was doing 50% of the work related to being a parent," she said. Making sure women and men see that women can be successful both at the highest levels in their careers and at home is crucial, these female executives say. "I think it's our responsibility to change that myth," said Green of Athleta, who says executives have the power to represent women in ways that bash stereotypes. "Leaders who really believe in this need to step up and use their business as a force for good and change."